A jury heard opening statements in the Bucktown bat beating trial this week, three years after a brutal attack on two women that left one of the victims unable to walk or say more than a few words. 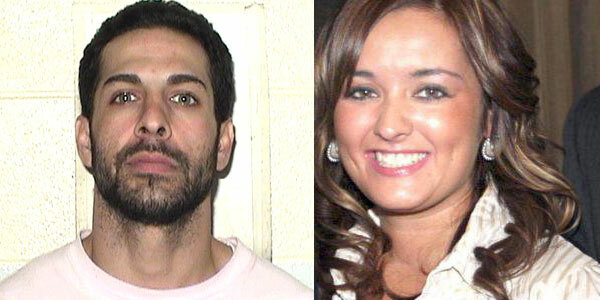 Heriberto Viramontes, 34, faced charges of attempted murder, aggravated battery and armed robbery for his alleged role in a brutal attack of Natasha McShane and Stacy Jurich early in the morning of April 23, 2010. McShane and her friend Jurich were walking under a viaduct at 1800 N. Damen Ave., on their way home from dancing, when prosecutors say Viramontes allegedly used a baseball bat to brutally beat them. Marcy Cruz, 28, waited in a nearby van nearby for Viramontes. Previously, Cruz pleaded guilty to two counts of attempted murder in July. She agreed to cooperate with prosecutors in exchange for a 22-year prison sentence in connection to the attempted murder charges she pled guilty to. She’s currently being held on $1 million bail, with her next court date set for Oct. 31. The violent incident left McShane in a coma with brain damage. Currently, she lives with her family in a rural community in Northern Ireland and, according to the latest accounts in the Irish news media, spends most her time in her living room on a bed, sofa or wheelchair. McShane was 23 at the time of the attack and a graduate student from Northern Ireland studying in Chicago. The prosecution alleges that both a financial trail left behind by Viramontes using the victims’ credit cards and his use of a victim’s cell phone are what led police to arrest him for the attack. Additionally, the prosecution screened a silent video clip from a 90-minute “Day in the Life” recording that shows a present day McShane navigating her way down a hallway, lifting her leg and attempting to drink. “What the state has built is a weak case of circumstantial evidence,” said David Dunn, defense attorney for Viramontes. He said that police initially stopped two black males, with blood on them, two blocks from the viaduct about a half hour after the attack that matched Jurich’s initial description of the attacker. He also attacked the credibility of Cruz as a witness based on her background. “She will say anything to anyone at anytime if it is in her best interest,” said Dunn. He added that Jurich has not seen Viramontes or the black men initially stopped by police in a photo array or lineup.